These are designs I have digitized for customers or some I did for myself personally. 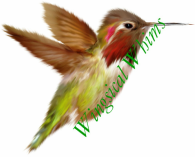 You can find me on Facebook: https://www.facebook.com/groups/WingsicalWhimsEmbroidery/ or feel free to hit the Contact Us Button. Looking forward to hearing from you!